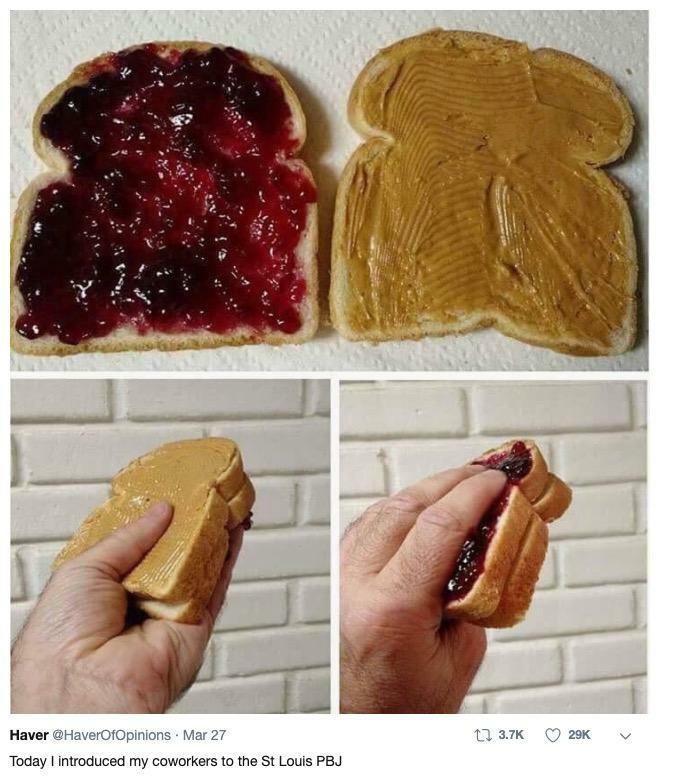 People tend to hold firm opinions about food — whether it's which city has the best pizza, the proper way to garnish a hot dog, or whether to spread the jelly or the peanut butter first when making a PBJ. 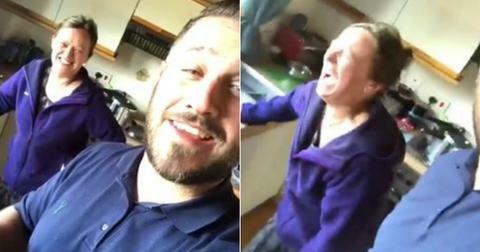 As much as we may acknowledge our preferences aren't objective, sometimes a particular food peccadillo strikes us as so extreme, so wrong, so against the laws of nature, all pretenses toward a "live and let live" approach to live go out the window. 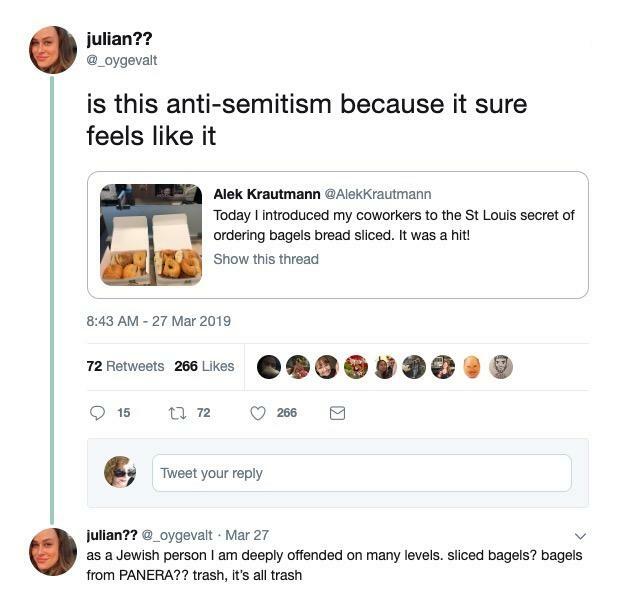 Case in point: Twitter user Alek Krautmann recently shared with the world the "St. Louis secret" to ordering bagels, and well, let's just say his unsolicited life hack was poorly received by the public writ large. Before I moved to New York, I didn't really understand this city's obsession with bagels. 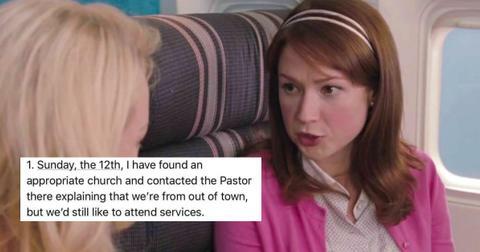 But I get it now, and first of all, those huge round rolls served by Panera Bread (FKA St Louis Bread Co.) are not bagels. It might honestly be illegal for them to make that claim, though I'm unclear on the statutes. Yet, even when I didn't know a bagel from a hole in some bread, I knew this was not how you slice one. Soon, Alek, who was just trying to enjoy the American Meteorology Society's 2019 AMS Washington Forum, was barraged with thousands of attacks from bagel lovers everywhere. He even had Chuck Schumer breathing down his neck over it. "On behalf of the New York Delegation: St. Louis, fuhgeddaboudit," the senior senator from New York tweeted. Alek demonstrated great poise when he clarified that he would never desecrate a real NYC bagel in this manner. "Cinnamon crunch & asiago cheese bread co bagels bread sliced are the way to go, but I wouldn’t dream of doing it with NYC bagels & lox! 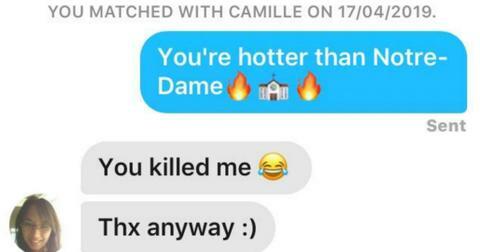 We good, Senator?" Schumer seems to have yielded back the remainder of his time. 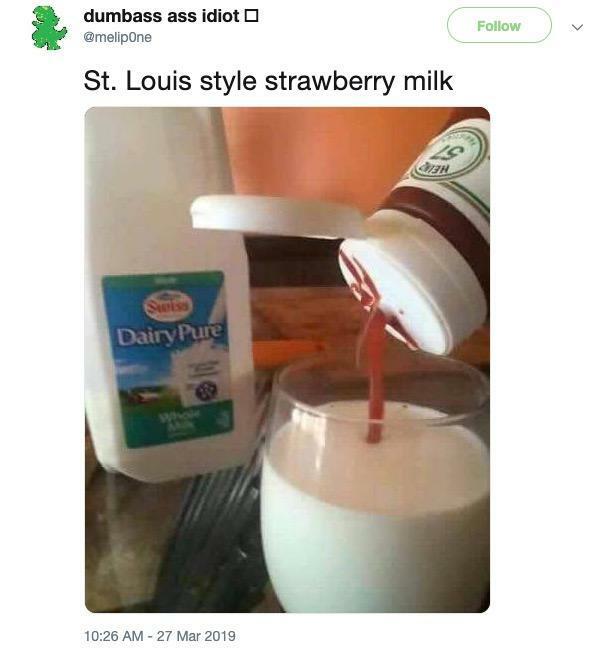 This isn't nearly as messy as the PBJ from the STL shared by a user with the very appropriate handle @HaverOfOpinions. This definitely looks like a four-napkin affair. 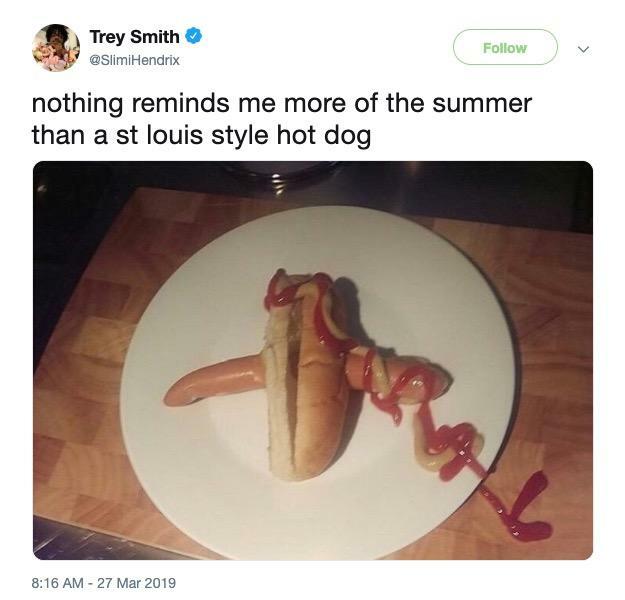 St. Louisans are used to being disparaged for their questionable food habits. 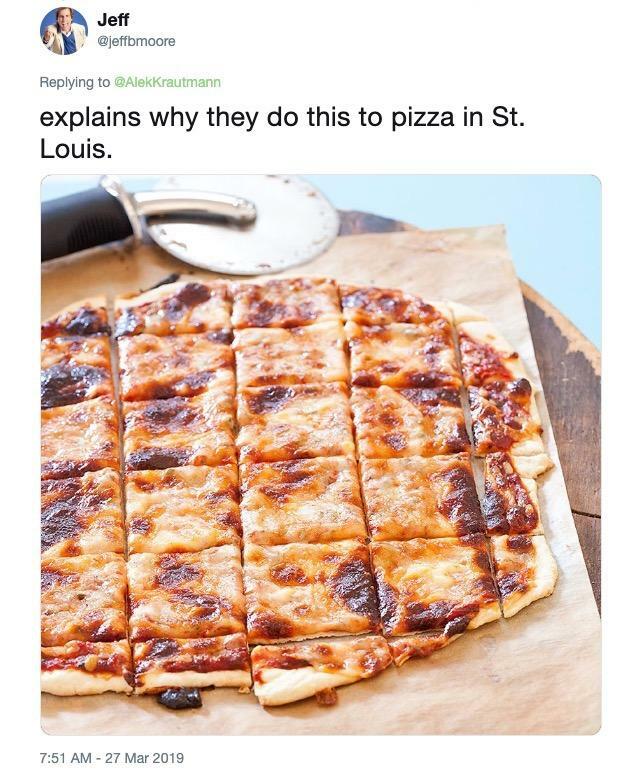 After all, St. Louis often tops food bloggers' lists at the worst city for pizza, owing to their cracker-thin crust and use of a processed cheese called Provel (made from a blend of provolone, Swiss, and white cheddar). And, once you see how they slice it, the bread-sliced bagel thing makes complete sense. Yet even some STL natives say this "bread-sliced bagels" thing is in no way endorsed by the Gateway City. "St. Louis native here," tweets @awalkerinLA. 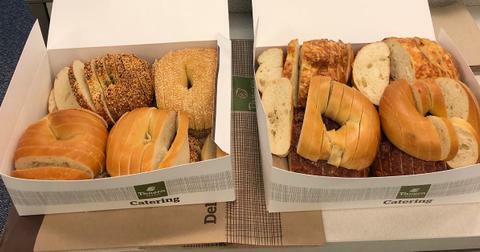 "We did all sorts of weird things growing up like deep-frying ravioli and topping pizza with processed cheese but we NEVER did this to bagels." And Alissa brings up a good point with the deep-fried ravioli thing, which is that as wrong as STL may be about pizza (and possibly bagels), they get a lot of food things right. Those aforementioned ravioli are a damn revelation, and the best BBQ ribs on earth are St. Louis ribs. But seriously, St. Louis, you're just gonna have to take the L on this bagel thing.